Iran’s Parliament Speaker Ali Larijani has arrived in Vietnam on a visit aimed at boosting mutual economic and parliamentary cooperation with Hanoi. Larijani was welcomed by Vietnamese parliamentary officials upon arrival at the airport in the capital, Hanoi, on Sunday night. During the first day of his trip, Larijani is scheduled to attend a press conference, sit down with the secretary general of the Communist Party of Vietnam and visit the tomb of late Vietnamese leader Ho Chi Minh. Prior to leaving Tehran, the top parliamentarian told reporters that his trip to Vietnam, which will later take him to Sri Lanka, is aimed at boosting economic and parliamentary cooperation. He said there is good potential for economic cooperation between Tehran and Hanoi. “There are good areas where the two countries can work together to boost economic cooperation, and the two countries already have parliamentary cooperation and political consultations in international circles,” said the speaker. Larijani said his next stop would be Sri Lanka. “Iran and Sri Lanka have good bilateral ties, and the country’s parliament speaker visited Iran last year when we discussed the promotion of relations is some areas,” the Iranian parliament speaker said. He said the recent US-led military action against Syria will also be on the agenda of the talks with the officials of Vietnam and Sri Lanka. 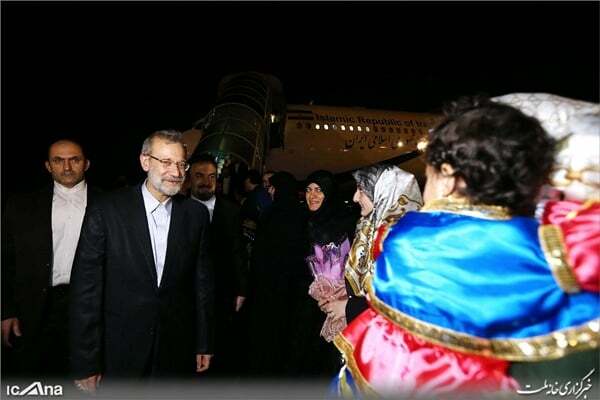 Larijani’s trips to the two countries come at the invitation of his Vietnamese and Sri Lankan counterparts.